A Catalyst article describing how new materials can be designed by studying natural materials and how they work. In particular the development of Velcro, military fabric, swimwear and waterproofing is looked at. These products were developed by scientific study of natural products such as plant burrs, pinecones, sharks skins and water lilies. 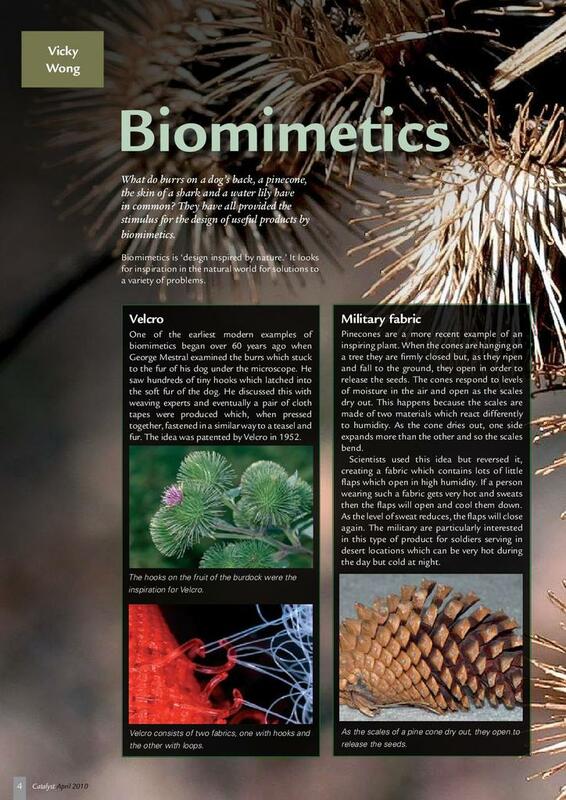 This article is from Catalyst: GCSE Science Review 2010, Volume 20, Issue 4.